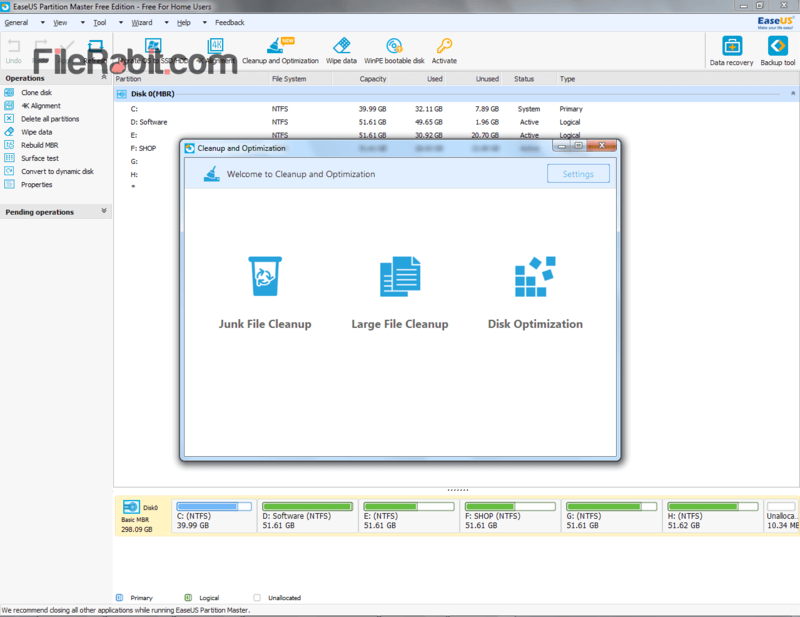 EaseUS Partition Master is free software that can create, split, merge and organize hard drive partitions with easy, simple and useful methods. It’s A perfect disk management tool that allows bundle of features to increase health of hard drive. Many of us are facing some low space errors especially in system drive, there is no need to worry, use partition master and extend space easily. It support many of file systems such as FAT16, FAT32, NTFS and others. Conversion between primary to dynamic and dynamic to primary partition is now simpler than ever before. It will never delete any data or files nor it will hurt hard drives health. Previously, we just share Paragon Hard Disk Manager that is limited for free subscribers but this powerful partition software is completely freeware. Recover accidentally deleted partitions easily without losing data and information. Make a surface test with EaseUS Partition Master and check for bad sectors on target drive. It covers both HDD and SSD with SATA, external USB case and PATA cable support. However, it can manage and organize multiple hard drives as well as multiple disk partitions. While creating partitions inside windows installation setup, the OS will create some unused space based partition by default. The size of these unpartition space will be varies on target drive space as well as Microsoft Windows version. Although, EaseUS Partition Master is useful tool to recover deleted partitions, optimize hard disk to speedup overall system performance and many more. These are professional features that EaseUS is delivering without any fee. Wiping system hard will securely erase all important data including family pictures, audios, movie clips, office data and backup files. No one can recover data even using Power Data Recovery and R-Studio software.